IBM-owned Fiberlink and BlackBerry are adding Windows Phone to the list of platforms they can manage and protect, as enterprise interest for the smartphone OS is increasing. Microsoft has always had a strong position in the enterprise, but has struggled to keep up with Apple and the Android camp as they have stepped up competition with Blackberry over the enterprise smartphone market. But with an upcoming enterprise update and wider support from MDM (mobile device management) vendors, Microsoft will soon be in a better position. “Of course it’s really important that the MDM platforms enterprises use have support for the OS. Many have already chosen and purchased a product, and they will hardly throw it out and buy a new one to get support for Windows Phone,” said Leif-Olof Wallin, research vice president at Gartner, via email. Microsoft is also taking matters into its own hands with a long-awaited enterprise feature pack. Blackberry has recently started pushing cross-platform management functionality more aggressively as it tries to turn around its fortunes. “What we have said in conjunction with that is that as we hear from customers that they really want to support a platform we don’t currently support, we’ll add it. So the requests from customers got sufficient enough for Windows Phone that it was time to step up to that. BES 12 seemed to be the logical time for us to look at that capability,” said John Sims, president of global enterprise solutions at BlackBerry. BES (Blackberry Enterprise Server) 12 will start shipping at the end of the year, and can be used manage devices running Blackberry’s own OSes, Android and iOS, as well. A broader adoption of Windows Phone 8 in the U.S. and Europe was also enough for Fiberlink to launch the MaaS360 Secure Productivity Suite for Windows Phone 8, which includes secure email, calendar, contacts and browser. To protect enterprise assets, the IT department can use enterprise app containers to prevent data leaks and block the forwarding of documents, according to Fiberlink. Microsoft is also taking matters into its own hands with a long-awaited enterprise feature pack that was first announced in July last year. The update will arrive “later this spring” and improve security with signed and encrypted S/MIME (Secure/Multipurpose Internet Mail Extensions) and a virtual private network client that automatically is triggered when an enterprise resource is accessed, Joe Belfiore, who runs Microsoft’s Windows Phone platform, said Sunday. The feature pack is an important update for Microsoft, according to Wallin. “Microsoft must put out the feature pack during the first half of the year like it promised to show the company is serious about the enterprise market. 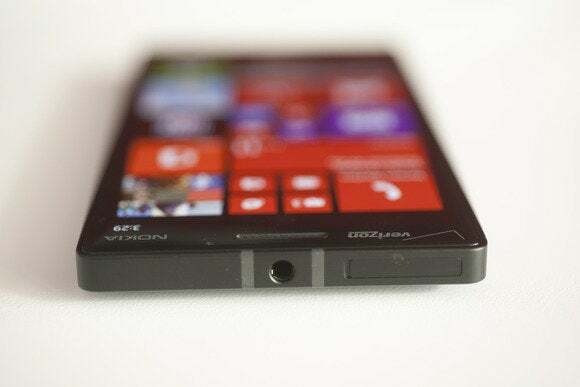 Surprisingly, there were a number of small things missing from Windows Phone 8 that when put together showed a lack of focus on enterprise needs,” Wallin said.